Have you ever walked into a Pilates studio, ready to take on your first hour-long session, only to be terrified by all the equipment? You're not alone. Equipment based Pilates classes are foreign territory even to many gym class aficionados—they are what make the hard work all come together for a healthier and stronger body. Each Pilates machine has many possible configurations, “there is an almost infinite number of exercises you can do," said Mara Sievers, owner of Concord Pilates in Concord, NH. For the past five years, Mara has worked with people of all ages and stages in life. Sievers turned to Pilates after a back injury during a dance performance. “ I was amazed at how Pilates gave me the tools to understand my body so that I could protect it and not get hurt again,” Sievers said. Although there are many pieces of equipment in the studio, the three most popular are the Reformer, Cadillac, and Chair. The Pilates Reformer, one of the most popular machines in a Pilates studio, is an exercise machine used for all levels of clients and provides a gentle and intense workout simultaneously. Springs are used as resistance or assistance while performing the exercises, hence making the exercise easier or more challenging. "With a simple change of spring setting, we can make each exercise much easier or much harder. It's ideal in a group setting, where different levels of students exercise together. Everyone gets the best-suited workout." Exercises consist of controlled, flowing movements working your muscles and joints through a full range of motion. Exercising on the Pilates Reformer feels amazing. Like an ocean wave, the carriage - on which the student lies, sits or stands - flows fluidly back and forth, adding a calming meditative rhythm. With professional training and consistent use, you will find that you will increase your muscular endurance. What does that mean for your everyday activities? With increased muscle endurance you will find that everyday activities will be much easier, and you will perform them with far less fatigue. You will also find that your muscles are more toned and fit. The Reformer is also great for conditioning the core muscles. These muscles will contract with all movements to stabilize and align your spine. A strong core will increase the effectiveness of all exercises and activities due to your ability to maintain proper alignment. Core strength increases your ability to generate power to your muscles and decreases the risk of injury, especially beneficial for athletes of all levels. The Pilates Trapeze Table is also known as Cadillac. Its versatility is virtually unmatched in the world of Pilates equipment. The device was, just like all the others, created by the inventor of the method, Joseph Pilates. The original purpose of the Cadillac was to help rehabilitate injured soldiers and civilians during World War 1 who were bedridden. 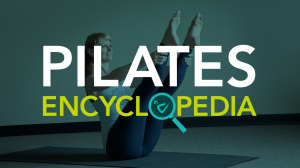 The Cadillac is virtually unrivaled when it comes to versatility, and there are over eighty different types of Pilates exercises that can be performed on it. They range from very low-intensity movements to routines requiring high levels of strength and coordination, such as hanging from the bars. Yes, there is an exercise called Monkey. You can strengthen the muscles of the core, develop a more flexible spine, and stretch the body out quite efficiently. We have found that once our students have worked on the Cadillac, their mat classes are much easier, and their goals are accomplished in a shorter time frame. The Pilates Chair is another piece of equipment that you will find at Concord Pilates. The chair is sometimes referred to as a ‘Wunda chair’ or a ‘Stability Chair’, and there are over 75 different types of Pilates exercises that can be performed on it. The Pilates Chair, just as the Reformer and Cadillac, incorporates the use of adjustable spring settings to hone your level of flexibility and stability at a higher rate of success. We have found that a great number of our students who have had sports injuries practice at our studio for rehabilitating their injured ankles, hips, knees and shoulders. The chair is considered to be the most challenging piece of Pilates equipment in terms of building strength in the legs and shoulders. Exercises on the chair are excellent for skiers, runners, tennis players and golfers looking to increase power in the upper body for throwing, lifting and racquet sports.